Frozen meals can be very appealing. Push a few buttons on the microwave, and you can have dinner ready in minutes. The frozen food industry has come a long way with these handy meals, but it can still be hard to wade through the unhealthy options. Try freezing your own healthy recipes instead! Leftovers will keep in your refrigerator for a few days. For many dishes, freezing them can extend the shelf-life for up to three months. Not only will making your own frozen meals save you time, but it can help you cut down on waste, saving you money. Here are a few tips for making your own healthy freezable meals at home. 1. When you have a busy week ahead, homemade freezer meals will come in handy. Be sure to thaw your frozen meal for 1-2 days ahead of time in the refrigerator. Smaller containers will thaw more quickly than large containers. There are also more safe thawing tips below. 2. Some recipes will freeze better than others. 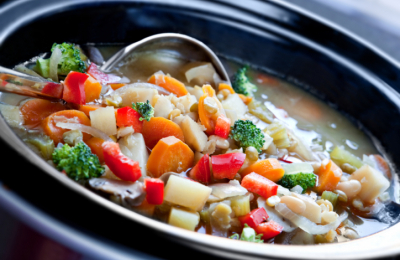 Foods that freeze well include soups, stews, chili, casseroles, meatloaf, and roasts. 3. When you find time in your busy week to cook, make it a point to choose a recipe that makes a large batch. That way you know you’ll have extras to freeze. You can also double recipes to ensure you’ll have extras to use for freezable meals. 4. Make portion control easy too. When you freeze meals, use small single-serving containers. 5. You can cook fresh chicken or turkey ahead of time. 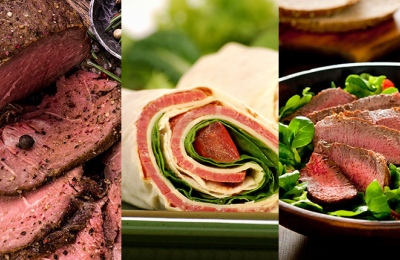 Slice the cooked meat, freeze it, and defrost when you need a lean protein source in your meals. This can also be a good alternative to using processed lunch meats. 6. Keep in mind there are some foods that don’t freeze well. Salads including tuna salad, macaroni salad, and egg salad don’t freeze well either. In addition, dishes with creamy or milk-based sauces and mayonnaise will not reheat to their original quality, though this may depend on the recipe. 7. 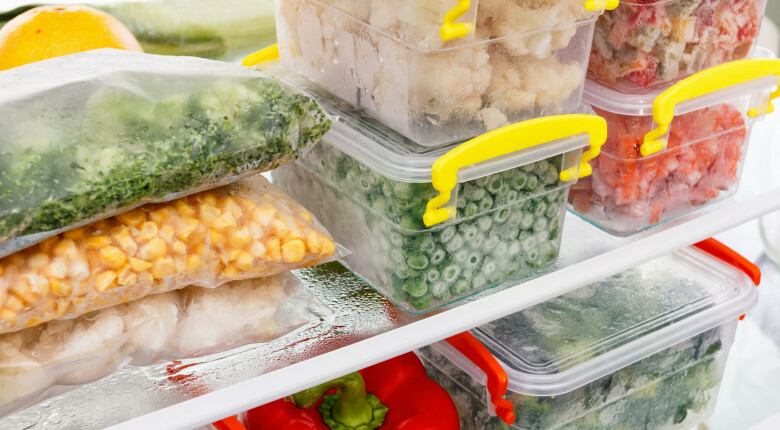 Avoid freezer burn by storing your freezable meals in airtight containers. You can also tightly wrap your leftovers, or use a freezer bag and remove as much air as possible before sealing. If using a container, fill it close to the top, leaving only a small amount of space because it will expand during freezing. 8. Before freezing, put your food in shallow containers to cool faster. Be sure that you don’t let food sit out at room temperature for more than 2 hours. 9. Don’t pack your freezer from bottom to top. Over-packing it will block the air circulation. For proper freezing, you want it to stay at 0 degrees C or 32 degrees F.
10. Freshness and quality at the time of freezing can make a big difference in taste. If a food is frozen while at peak quality, or the same day you cooked, it will taste better when thawed than if you freeze it days later. 1. Place in the refrigerator ahead of time to thaw. Thawing time will depend on the amount of food you are thawing. 2. Fill a bowl or sink with cold water. Put the food in a leak-proof sealable plastic bag and immerse it in the water. Change the water every 30 minutes and cook immediately after the thawing is complete. 3. Defrost the food in your microwave and cook it immediately after thawing. Everybody likes getting more for less! How about getting more meals from less recipes? 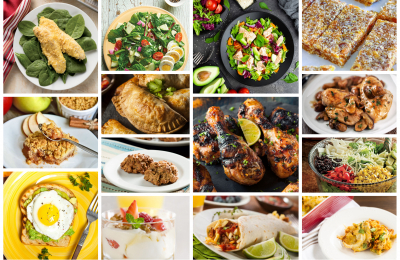 With some strategic meal planning and prepping, you can create several days’ worth of meals with just a few recipes and one trip to the grocery store. You can even prepare all of the recipes at once and store meals in single serve containers in the fridge for grab-and-go meals all week. The pinwheels look fantastic, taste amazing, and cut the carbs. Despite the "fancy" presentation, they're actually super easy to make. 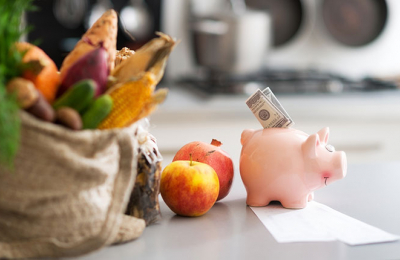 How Can I Save Money and Make Healthy Choices? 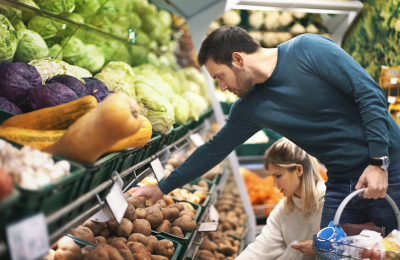 Shopping at a grocery store can be overwhelming, and for some people it is a stressful event. Staying on a budget and making healthy choices can be tough at first, but with practice it can become a habit. Take the stress out of shopping and stay on budget with these helpful tips!